M/s Thanco Natural Foods Pvt.Ltd is most trusted FMCG player. We have dedicated a significant amount of the resources to build the brand. Innovation within nature is our forte, Viz… Tender coconut, Sitaphal, Belgium dark Chocolate and many more. We use our traditional strength in product marketing, brand building, and distribution to grow Thanco’s to one of the leading brands in the Natural ice cream segment. We strongly believe that retailing will be the next big thing in the ice-cream industry. 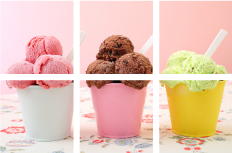 Ice-cream parlors fit in well with the prevailing and upcoming consumer trends. Indulging will increasingly occupy a significant share of the average Indians wallet. And, ice creams are certainly a very good way to indulge! We have now entered the out-of-home segment with the chain of Cafes, parlors and kiosks and we invite you to be a part of this exciting and rewarding venture. Parlors are high margin and high return channels. To capture the value in this segment, we developed a unique PSIS model. The ambiance of the parlor is designed to reflect the values of the Thanco’s, that aggressive advertising will build the brand identity and reinforce the effect of the parlor imagery. Profitability: Gross Profit of 75% to 100 % on a scoop and 35% to 60% on family Pack. For more details write to us or fill in the franchise form. High Street: Hotspot in middle and high-income group areas. Could either be in residential or in commercial (Market) areas. > hygiene standards in the parlors.